On occasion I find myself sitting at my desk staring straight at my computer screen thinking to myself, "OHMYGODIAMSOTIREDIWANTTOTAKEANAPRIGHTNOW." You know I'm tired when I can't even be bothered to punctuate. I am all about punctuation! ANYWAYS, the point is that today is one of those days. I feel soooooooo sleepy and I just can't shake it. I didn't even wake up after eating my free breakfast at work. Or after having tea. So there I was, sitting at my desk after lunch when I got an idea. I peeked around and made sure no one was looking... and then I crawled under my desk for a little surveying. In the current setup, it does not allow much room for napping. (I suppose that is the point. I imagine most workplaces frown upon that sort of thing.) If I were ever in dire need, I suppose I could shift some things around and have plenty of room for a power nap. Of course, I am way too chicken to ever actually take a nap under my desk. I just wanted to see if I could. It's a nap pod! It's awesome! Maybe one day we will all have nap rooms. I would gladly eat lunch at my desk if I could go take a nap on my lunch break. For serious. I think our culture should be more accepting of siestas, like the Europeans. 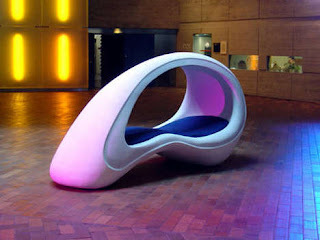 Although that nap pod looks Japanese. I love lemon Danishes, and they are free at work every morning in the hostel breakfast. I never let myself eat them.